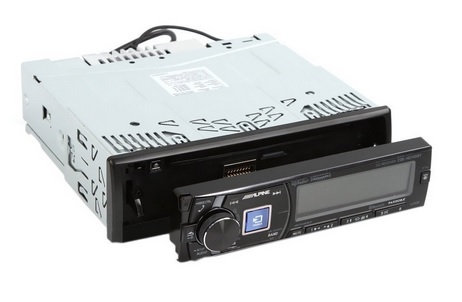 Alpine CDE-HD149BT is an advance Bluetooth CD receiver that is part of the TuneIt™ group. 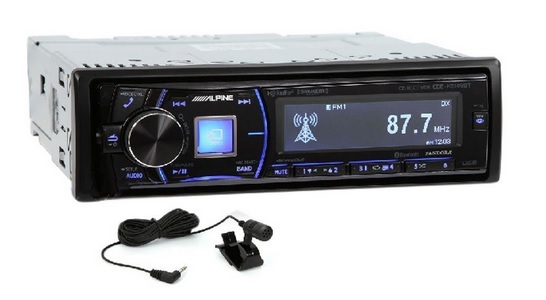 This model is a top quality receiver provides high quality of sound for car owners. It is full of features to enhance the listening experience such as the TuneIt app, Pandora Internet radio for Android and iPhone or iPod, built-in Bluetooth, quad illumination and high quality just to mention some of the features. Alpine’s control functions are user friendly. In addition, the Alpine TuneIt app allows the owner to become high skilled at sound tuning in a show time along with connecting with his social media profiles. You simply download this free app to your Android or iPhone smartphone or your iPod as the case may be for you. The driver creates a profile within this app that includes information on the vehicle he drives and the sound system it contains. Settings in the app that are adjustable include Crossover, Time Correction, Media Xpander and Parametric EQ. save as many as 100 unique sound settings within your profile. The driver can share his settings with others through social media. This app is available at both Google Play and the Apple’s App Store. A driver can also enjoy Pandora Internet Radio straight from his dash regardless of whether he prefers the Android or iOS format. Alpine provides both wireless streaming or USB connections to enable the driver to listen to his favorite tunes on Pandora as he drives. Built-in Bluetooth allows to hands-free calling as the operator drives on top of the music streaming capabilities. The CDE-HD149BT enables the driver to both call out and receive calls hands-free, which keeps his mind on the road and not on his smartphone. Quad illumination enables the driver to see the adjustment buttons clearly on the dashboard. This includes colors green, amber, red and blue. In addition, the sound quality cannot be beat with the Alpine CDE-HD149BT.